Simple to make and delicious. Marinate meat for 30 minutes and drain. In wok or large skillet with lid, heat oil over high heat. dd meat to hot pan and stir-fry for 3 to 4 minutes or until cooked; remove and set aside. 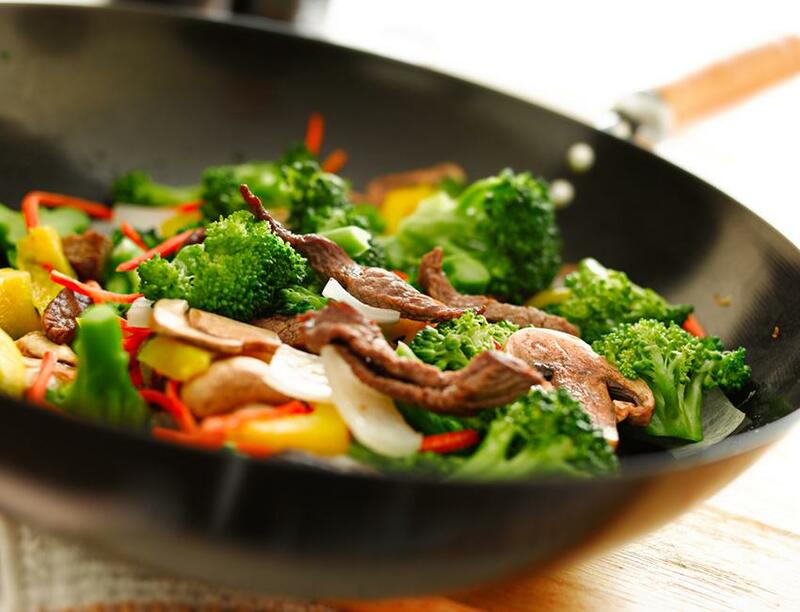 Add bell pepper, zucchini, broccoli, mushrooms and onion; stir-fry for 3 minutes. Cover and steam for 2 minutes. Add cilantro and cooked meat; stir-fry for 2 minutes. Combine Ponzu (brown label) and cornstarch. Add to stir-fry until the sauce is thick and clear. Sprinkle with sesame seeds and serve over hot rice.